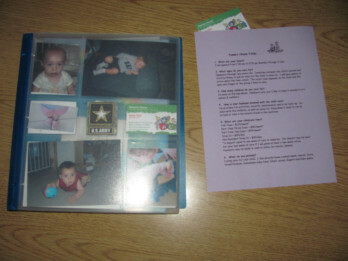 **FORMAT--You can use a scrapbook format or a binder. Both formats should include clear plastic sheet protectors. Make your portfolio professional and represent your personality. 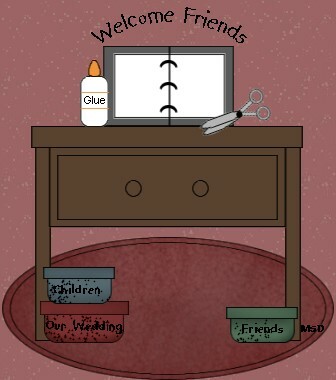 Decorate your pages using fancy stationary, rubber stamps, stickers, markers or crayons. 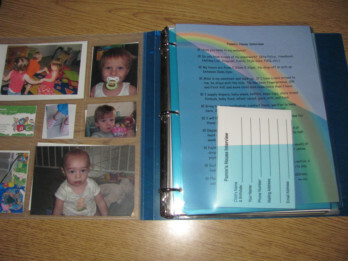 I use a binder with photo inserts that I have added photos of the children and activities. 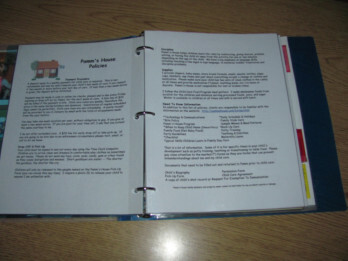 **INSIDE COVER--I have added a pocket at the inside cover of the binder. This pocket holds a laminated copy of my Interview List, a list of the things I want to go over with parents verbally during the interview so I don't miss the important parts. I also have a small form for parents to leave names, phone number, and email address so I can contact them later. 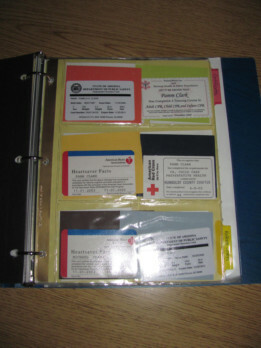 **POLICIES & INFORMATION-- I place a copy of my Policies and other informational forms in sheet protectors for prospective parents to browse. Sometimes parents ask questions about these forms. **CERTIFICATIONS & INSPECTIONS--Here, I have added our CPR Cards, fingerprint cards, etc. In the next pages are a copy of my Fire Inspection. 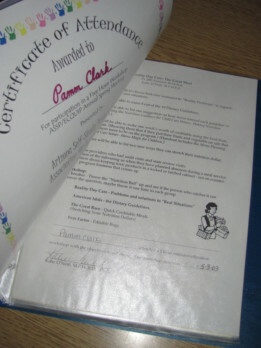 **CERTIFICATES--My AA degree and certificates from the classes and training I have received. After the interview I send parents with my business card. With that they have my phone number, email address, and website where they can look over the information again if needed. I used to send out a copy of my packet with everyone, but that gets expensive.